March 10, 2015 – Engineers at Orbital ATK are preparing to test the largest, most powerful booster ever built for NASA’s new rocket, the Space Launch System (SLS), which will fire up for a ground test at 9:30 a.m. MDT on Wednesday, March 11, at Orbital ATK Propulsion Systems’ test facilities in Promontory, Utah. The two-minute static test is a significant milestone for the SLS as part of NASA’s journey to Mars, and follows years of development. It is one of two ground tests to qualify the booster for flight. A second test is planned for early 2016. Once qualification is complete, the hardware will be ready to help send the rocket, along with NASA’s Orion spacecraft, on its first flight test. When completed, two five-segment, solid-rocket boosters and four RS-25 main engines will power the SLS as it begins its deep space missions. 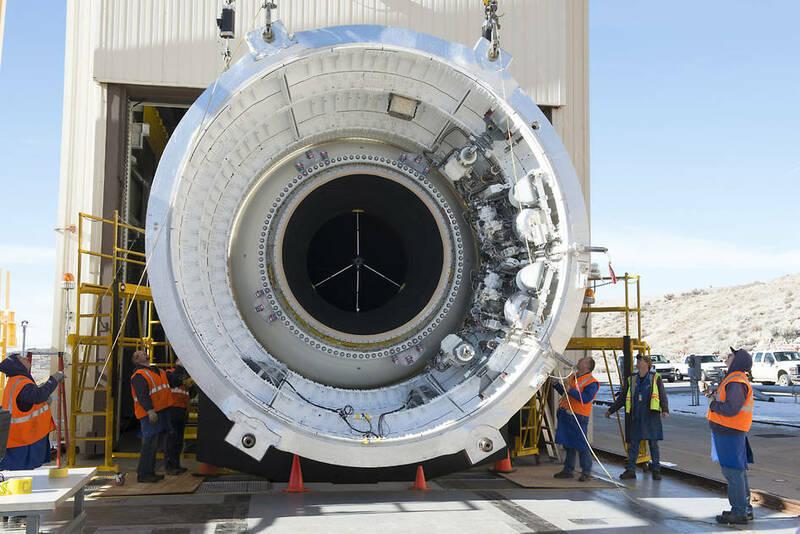 The boosters operate in parallel with the main engines for the first two minutes of flight, providing more than 75 percent of the thrust needed for the rocket to escape Earth’s gravitational pull. The first flight test of the SLS will feature a configuration for a 70-metric-ton (77-ton) lift capacity and carry an uncrewed Orion spacecraft beyond low-Earth orbit to test the performance of the integrated system. As the SLS is updated, it will provide an unprecedented lift capability of 130 metric tons (143 tons) to enable missions even farther into our solar system. Live coverage of the test on NASA TV begins on Wednesday at 9:00 a.m. MDT.